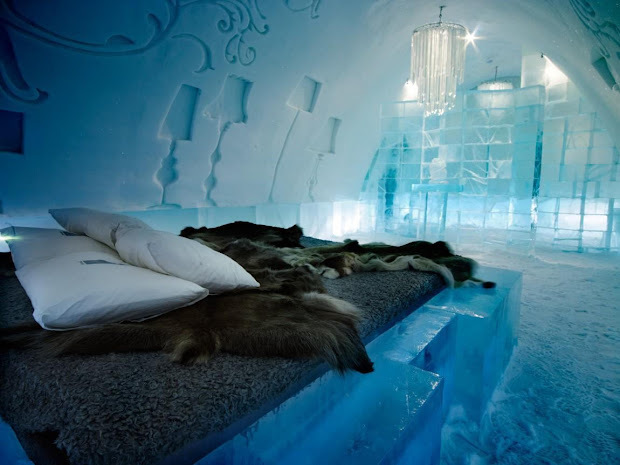 Iceland and the Icehotel. 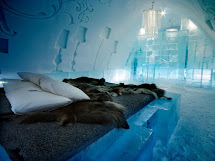 This fantastic winter holiday combines 'fire and ice' bringing together the stylish cool of Sweden's Icehotel with the volcanic natural wonders of Iceland. In spite what its name may suggest, Iceland does not have an ice hotel of its own, so we designed this holiday to offer the best of both worlds. Glacier Hiking on glacial tongue Seimajökull – South Iceland. Self drive to join the small group visiting the magnificent frozen glacial tongue Seimajokull and hike on the glacier. Explore the crevasse riddled outlet glacier with its amazing ice formations, sinkholes and jagged ridges.